The ‘Ambassador of Belgian Chocolate’ does indeed exist, and he’s opened shop at Marina Bay Sands. Jean-Phillipe Darcis – also the first chocolatier in Belgium – is now serving pralines, Belgian waffles with chocolate and macarons at his first South-East Asian outlet. Crafted using premium Callebaut chocolate, the offerings are all imported from his native country. 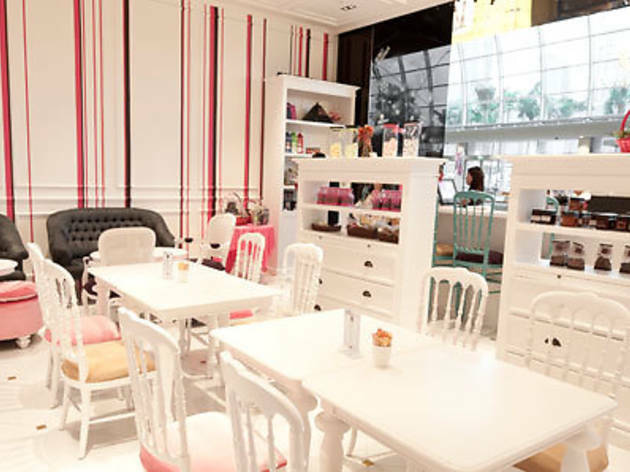 This brightly stylish, Marie Antoinette-pink (we refer to the movie, of course) chocolate café remains quiet for now, but will there be a revolution? You tell us. Sun-Thu 10am-11pm;, Fri & Sat 10am-midnight.